This website was developed under a cooperative agreement with the U.S. Environmental Protection Agency and is managed by The Scientific Consulting Group, Inc. We take your privacy very seriously. We do not, sell, share or rent any personally identifying information about you. This website, noattacks.org, utilizes a Drupal CMS platform to deliver a straightforward, easy-to-navigate content experience to site visitors. The site is designed to provide you with information on asthma, preventing asthma attacks, and asthma action plans. It includes downloadable resources tailored to children, such as an asthma game book, Dusty, the Why Is Coco Orange? book and The Breathe Easies coloring book. The website also includes embedded media features such as video (television quality) PSAs and radio PSAs in various formats, print advertisements and digital (web-based) advertisements. These website elements can be viewed online within the browser or can be downloaded. They include HTML embed codes for further dissemination and use. You should be aware that when you are on the NoAttacks.org website, you could be directed to other sites that are beyond our control due to links that lead you outside of the NoAttacks.org website. These other sites may collect data or solicit personal information. Exposure to diesel exhaust fumes may make asthma symptoms worse. 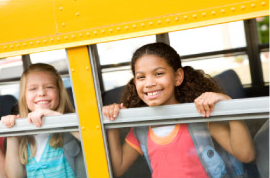 EPA’s Clean School Bus Program helps reduce pollution from school buses.